Application:Coal briquetting machine is widely used in coal industry, metallurgy industry, chemical industry etc. Raw Materials:Coal power, iron powder, coking coal, aluminum powder, iron slag, oxide scale, carbon powder, slag, gypsum, tailings, sludge, kaolin, clay, activated carbon, etc. Coal briquetting machine is also called coal briquette press machine, which can press powdered or granular coal slime, raw coal and lignite coal into spherical shape, oval shape and flat shape with strong pressure. The finished coal briquette can be used in power generation, blast furnace calcination, civil and other fields. 1. It is mainly used for pressing briquette generated from coal washing plant or power plant into lumps or balls. The coal briquette can be directly put into the furnace for combustion or smelting, so as to increase the added value and achieve the reuse of resources. 2. Coal briquetting machine is a kind of equipment used for making coal briquettes or coal powder, which has extremely extensive applications. 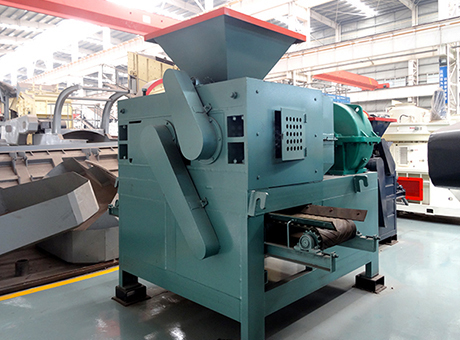 Its purpose is to reduce dust, control the bulk density, return to use and improve transport properties. It has started in the world, which not only can increase the efficiency of enterprises, but also reduce the waste of resources. Fote Machinery is specialized in the production of coal briquette machines and ancillary equipment, which can press briquette into balls for one time with high yield and high hardness. It has been applied to many domestic power plants, coal washing plants and coal briquette plants, which has achieved good results. The coal briquetting machine produced by Fote Machinery has high ball forming rate, strong hardness of pressed balls, not easy to be broken during handling, which is well approved by customers. The finished balls can be used by power plant, coal washing plant and briquette factory. With the breakthrough of technology difficulties, we have successfully designed the coal briquette plant for many customers, which create a new situation of the coal briquette press machine. It realizes the recycling of resources and turns waste into treasure, which not only creates good economic and social benefits, but also carries out the national policy of sustainable development requirements, so there are broad prospects for the development of coal briquetting machine. The coal briquette machine price of our company is favorable and preferential, and we have simple coal briquette press production process, which is available to customers for the on-site testing. If you want to know more, you can pay a visit to coal briquette production sites.